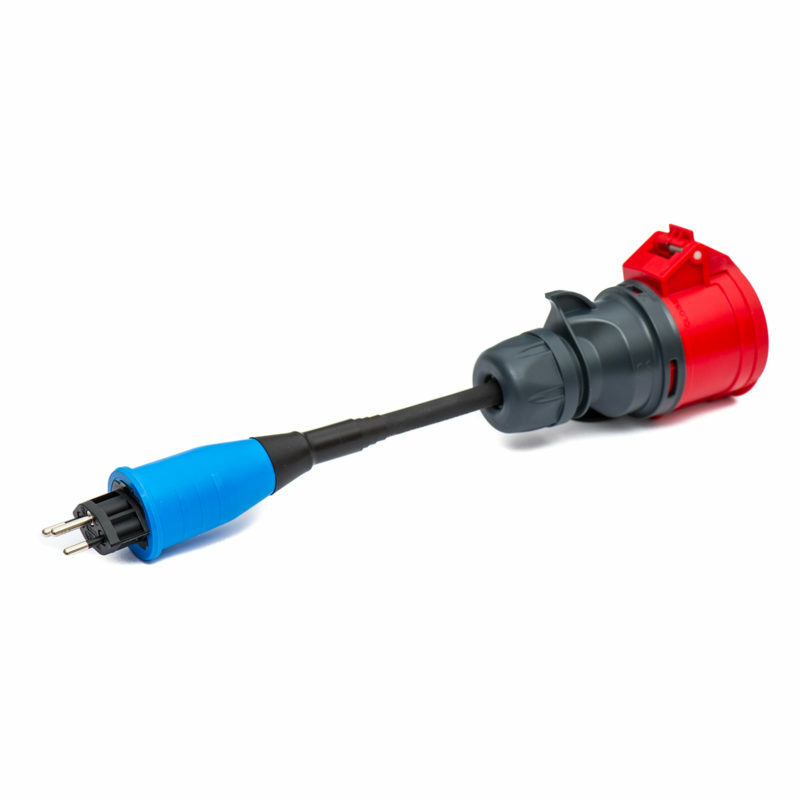 Three-phase “letterbox / window” adaptor. 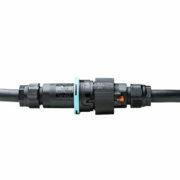 The three-phase version of the single-phase letterbox adaptor. 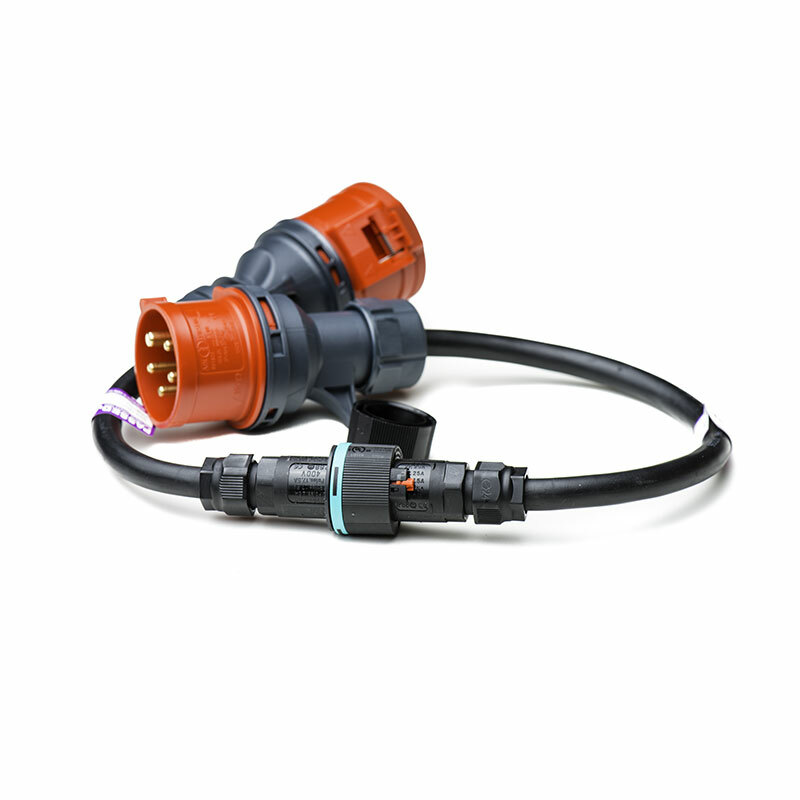 Can be used when an indoor three-phase socket is found as is the case in some kitchens. 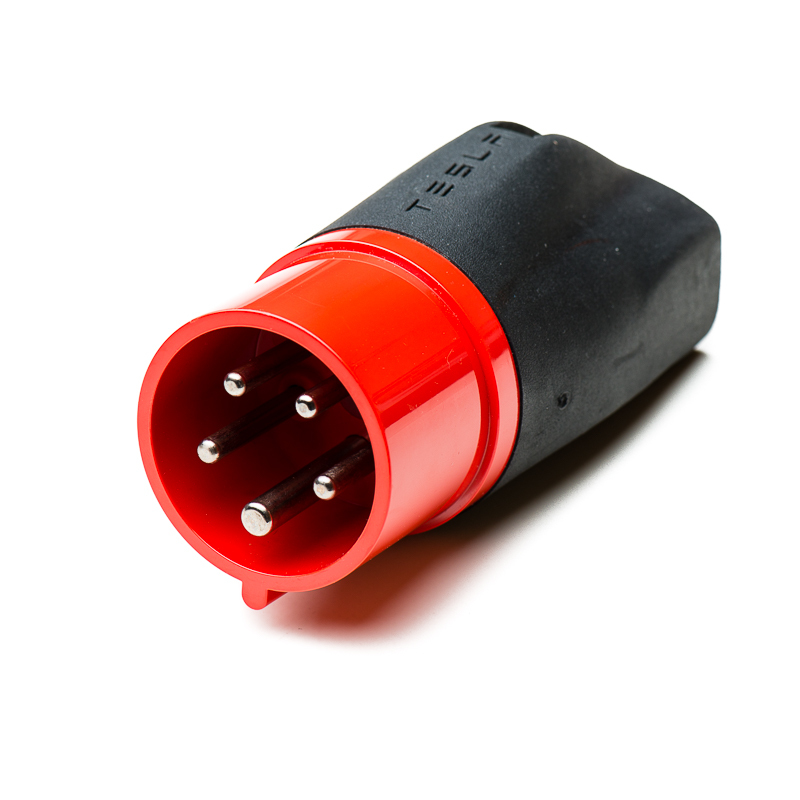 Please note that the socket must have five pins – some sockets are not wired with a Neutral connection; only three phases and earth. 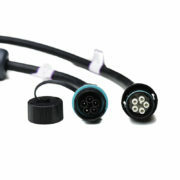 This type of socket is incompatible with the Tesla UMC. 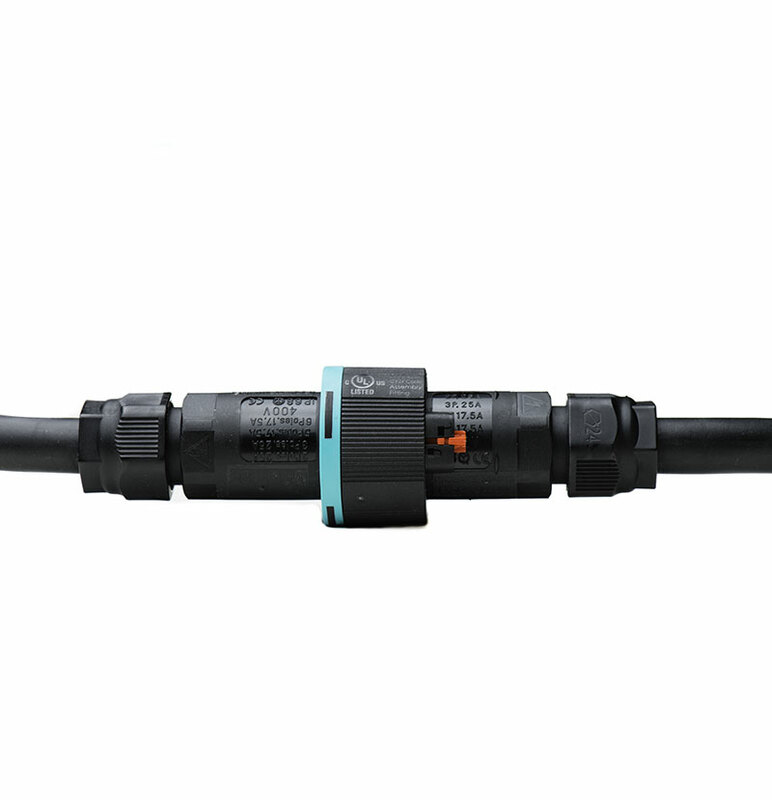 The three-phase adaptor is fully backwards-compatible with single-phase, so choose this adaptor if you require single phase but might ocasionally benefit from three-phase charging. 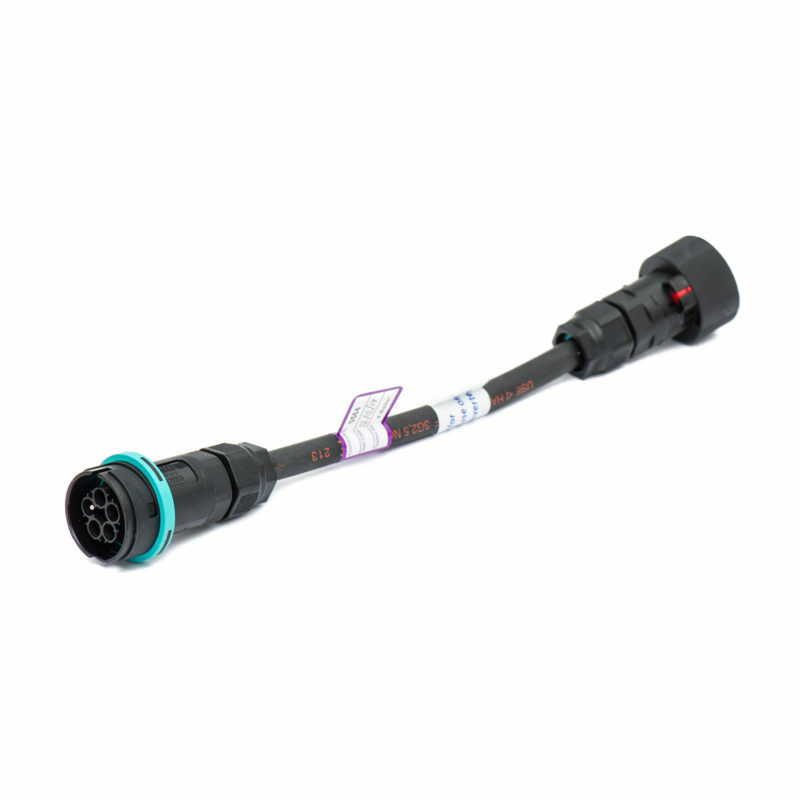 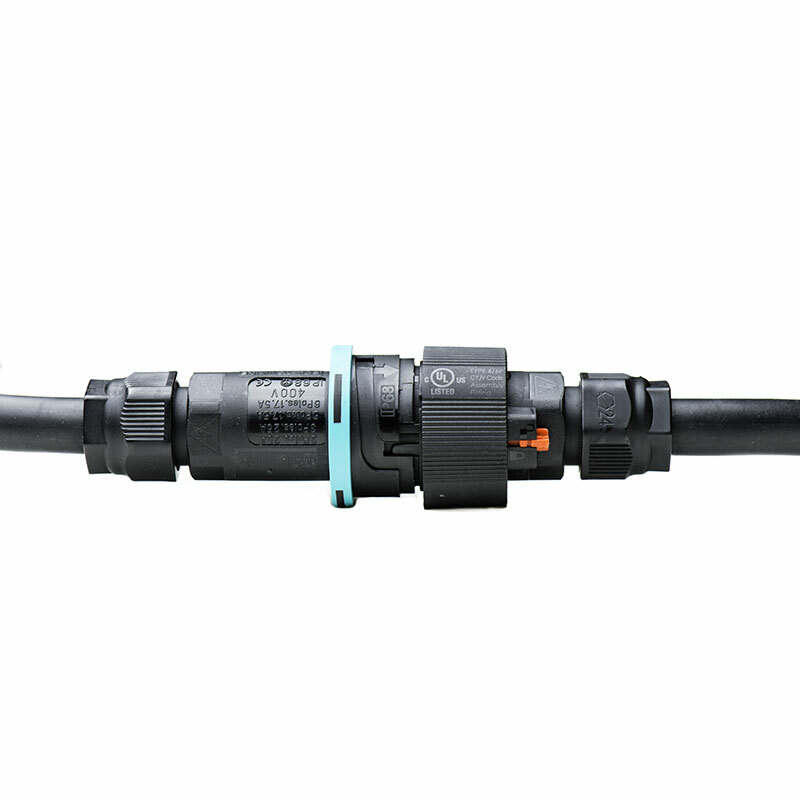 At less than 36mm diameter, supporting full continuous 16A current and being totally waterproof with an IP68 rating, this is the ideal solution. 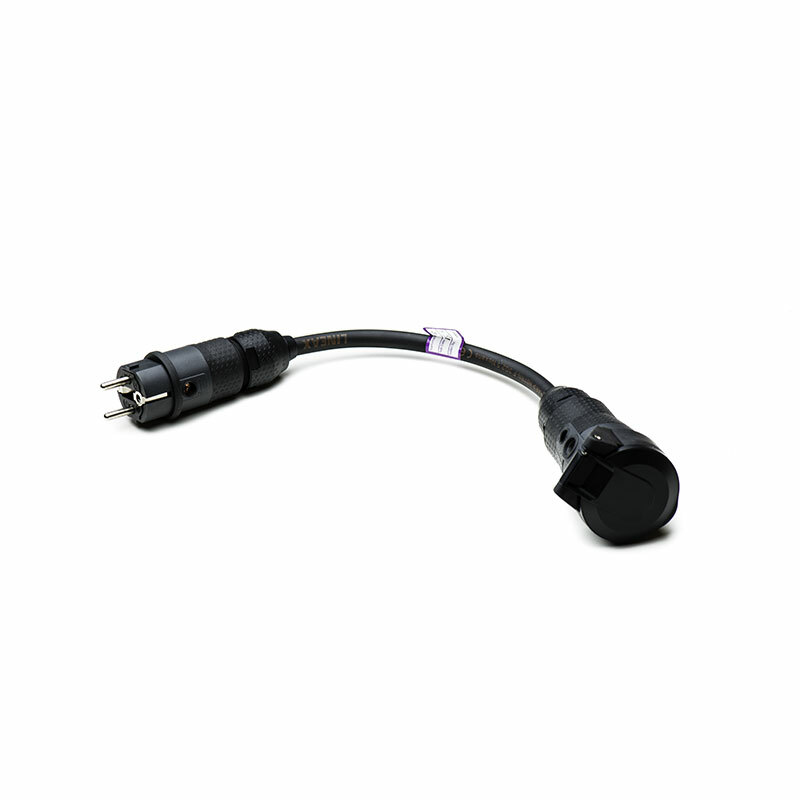 You just poke the socket end through and the connect the plug on the other side. 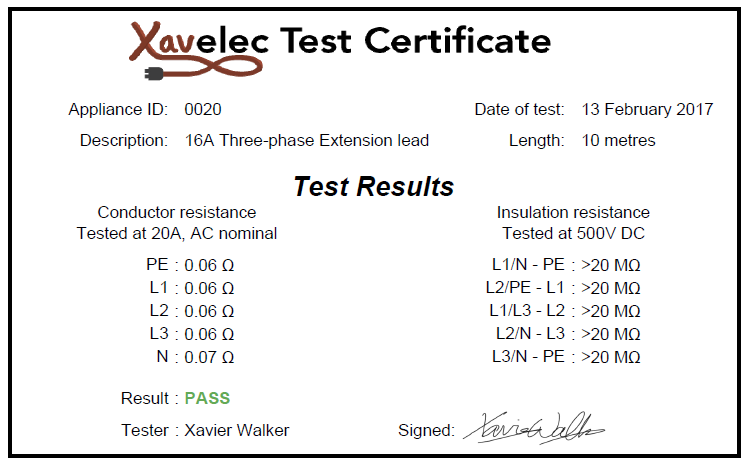 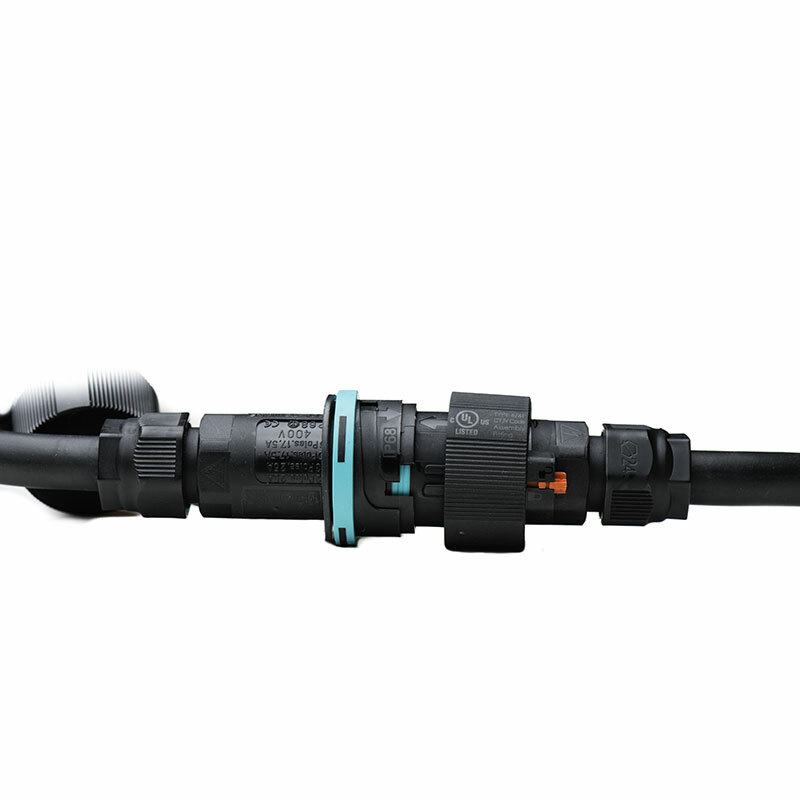 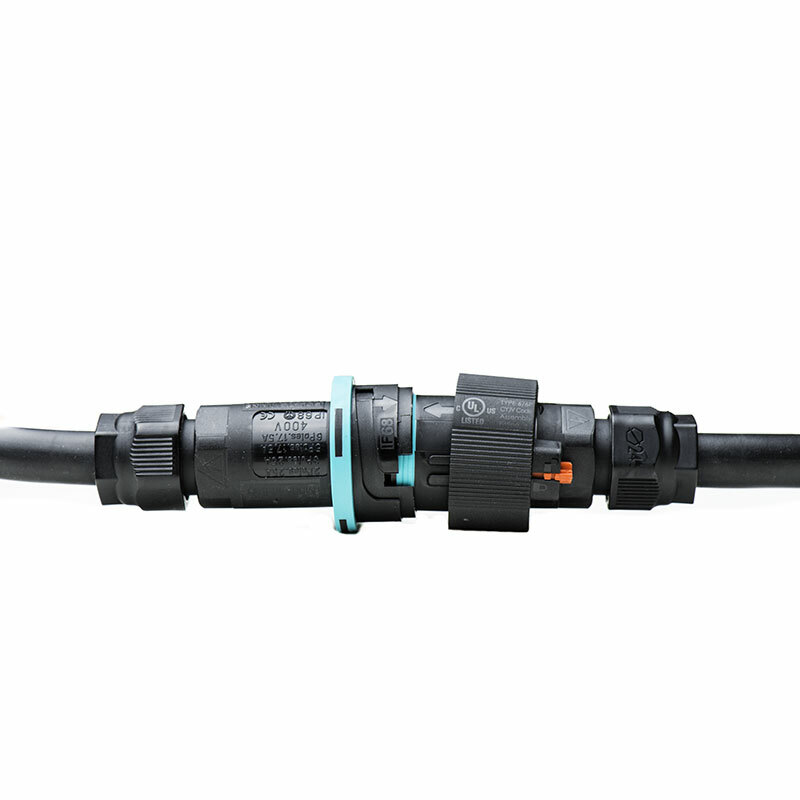 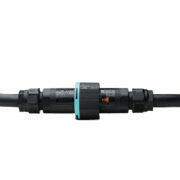 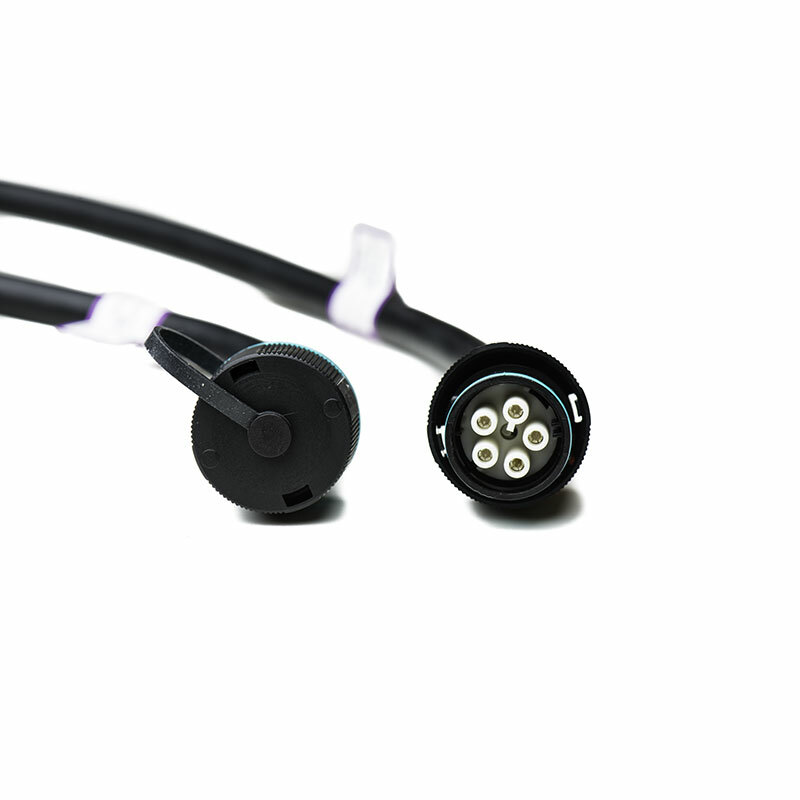 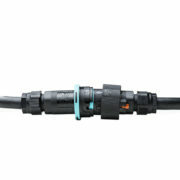 Comes supplied with dual PAT results certificates – one for each end of the cable.